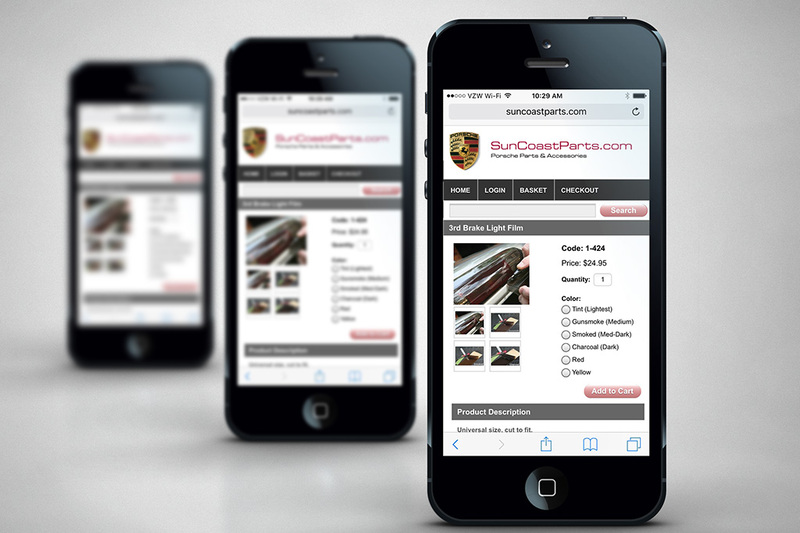 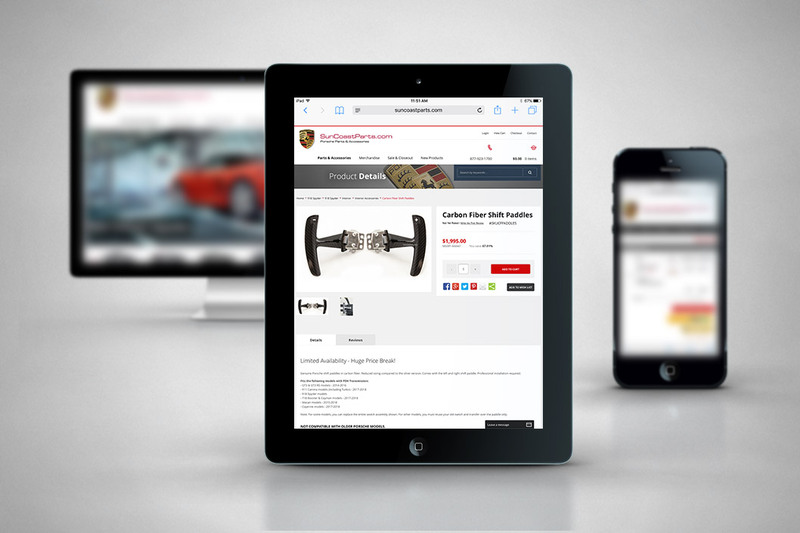 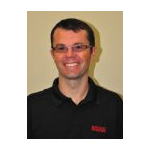 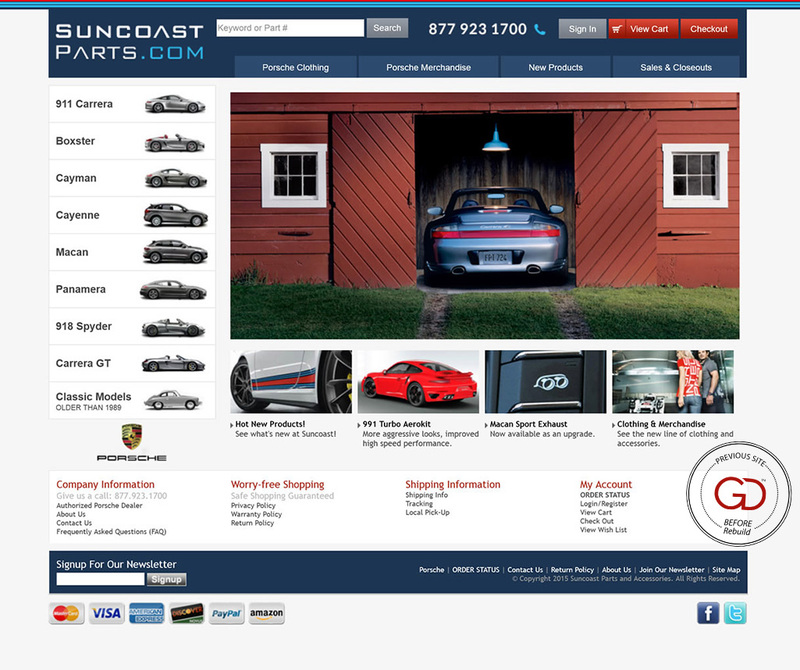 Suncoast Porsche Parts & Accessories needed to match their Miva ecommerce parts and accessories site visually better to their high-end Porsche dealership site (http://suncoastporsche.com/). 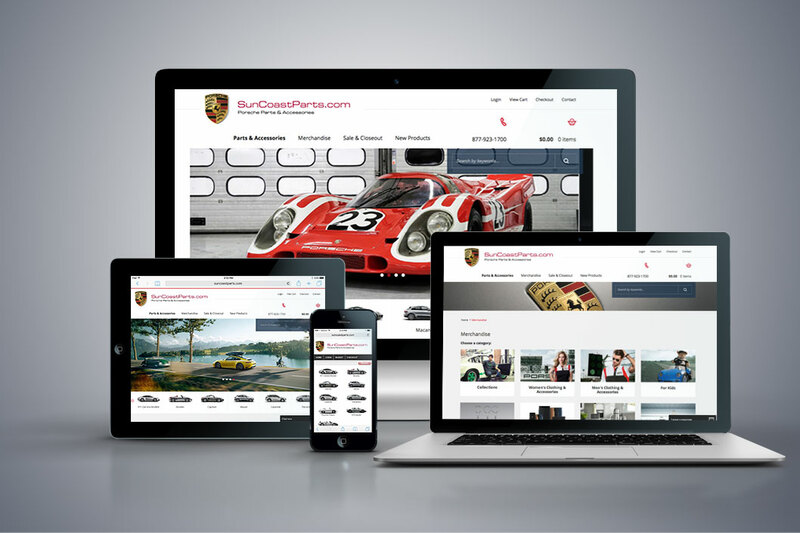 We had a lot of fun in the process and visual appeal as well as functionality and shoppability were number one priority during the re-design. 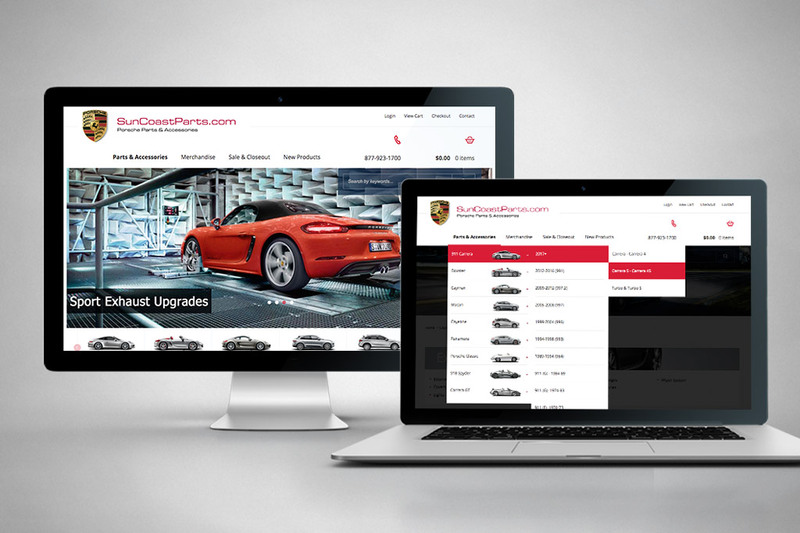 We removed a large number of 3rd-party modules and replaced them with either built-in functionality or custom coding, to reduce site overhead and minimize potential future update issues.